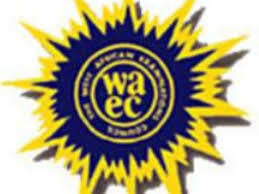 Are you a victim of lost, stolen, or burnt WAEC Original Certificate? The Original WAEC Certificate has been one of the most crucial document required of candidates seeking admission into higher institutions. We have received so many calls, messages and emails on this topic, so we decided to clarify every individual on the Lost, Stolen or burnt Certificate. According to the West African Examination Council Issuing of Original Certificate is done Once. Candidates who lost or Misplaced their Original Certificate are to report to any WAEC Office in the State he or she sat for the examination and apply for "Attestation of Results". The Attestation of Result confirms that the indiviual registered and sat for the West African Senor School Certificate Examination [WASSCE]. The document can also be forwarded to the individual respective school by WAEC to verify. Hope this helps, Still have any questions use the comment box below.